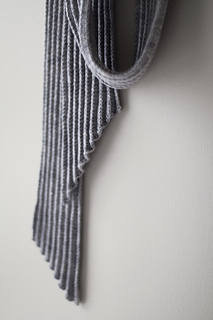 Initially inspired by infamous Japanese fashion line “Pleats Please”, this scarf is an interpretation of accordion pleats in knitwear. 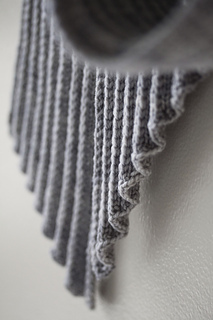 To help the fabric stay pleated this original stitch was developed. 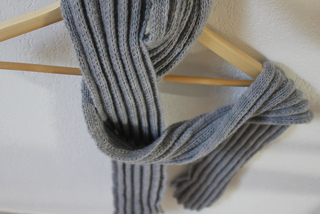 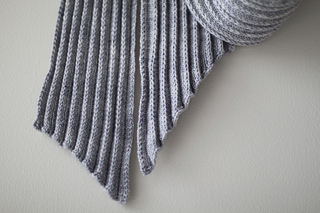 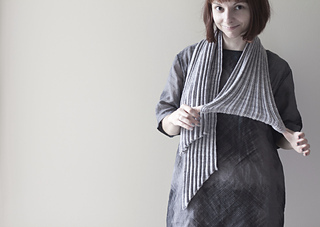 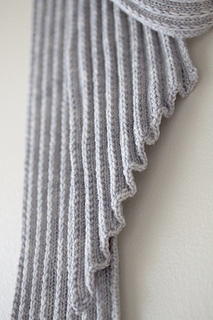 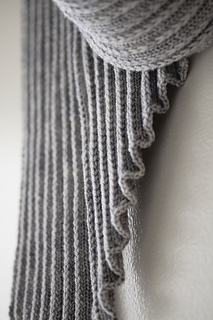 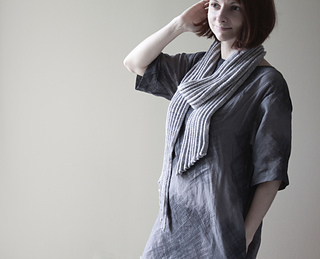 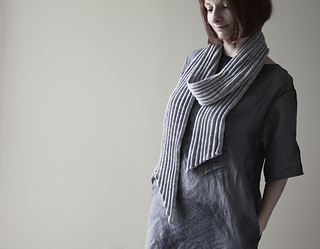 Architectural lines of this scarf provide wearer with several styling choices and knitter with entertaining make up: two width options as well as instructions for two different angled tips. 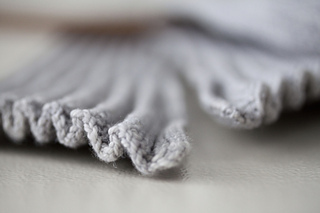 Sample shown in photos is a narrow version with one blunt end and one sharp end.